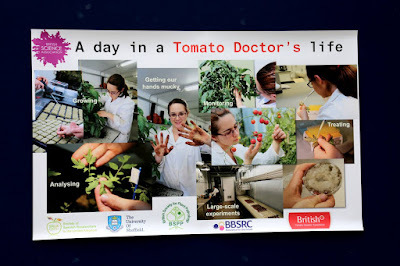 Science as a destiny: I'll never look at a tomato the same way again...! I'll never look at a tomato the same way again...! “It takes a lot of work to make something appear effortless”. This weekend, I certainly learnt the truth of this saying and now have an even deeper respect for event managers. The reason? After weeks of planning and countless meetings, the tomato extravaganza had arrived! When I heard that the British Science Association (BSA) wanted to set up a branch in Sheffield, I knew that I shouldn’t really be taking on any more commitments on top of my PhD. But the opportunity to help establish a completely new group from scratch proved impossible to turn down. However, the initial group was so small at first that I wondered if we really could launch it off the ground. Yet despite being so few, our team was so committed that we soon gained momentum as we planned our first event. 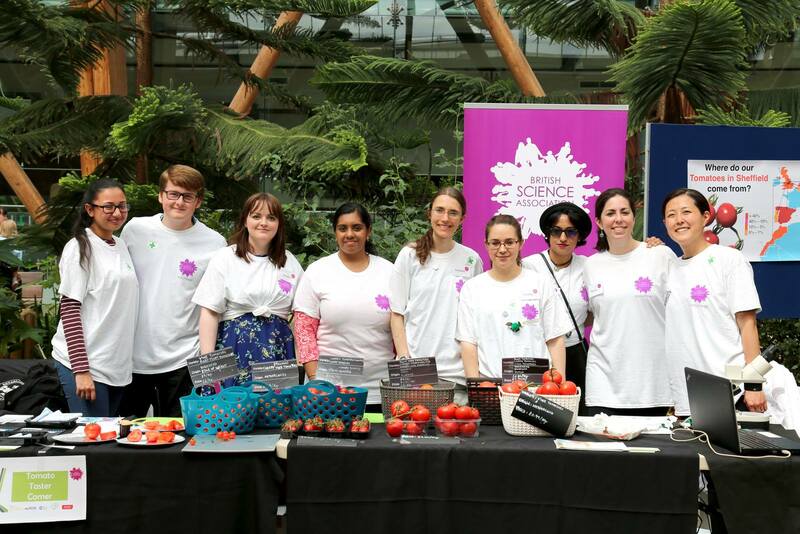 This was to be an activity stand at the Sheffield Food Festival which explored how the global transport of food can also spread crop diseases that threaten food security. 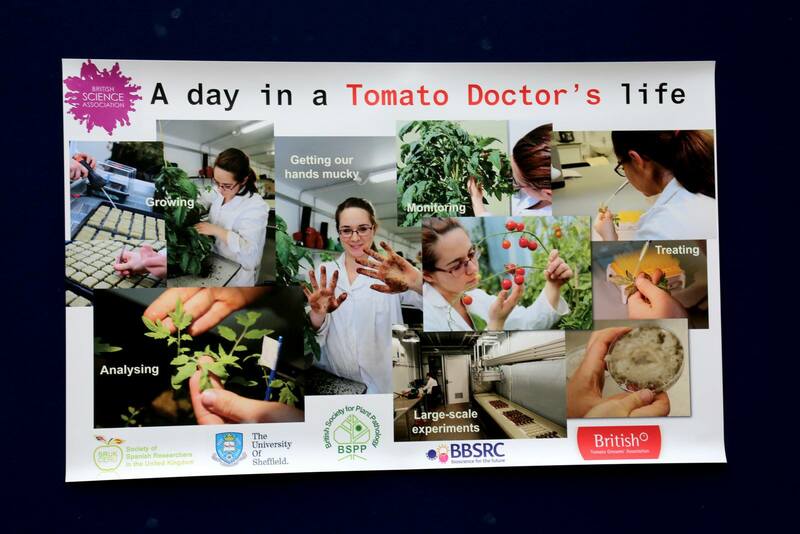 We chose to give the tomato a starring role so that we could include my colleague Estrella’s own research on mould and blight diseases in this crop. Even though the idea seemed simple on paper, there was a small mountain of paperwork and other issues to sort out. The past weeks have been a blur of filling in risk assessments, finding insurance certificates, finding a microscope, buying playdough, collecting poster boards, designing leaflets…just to name a few! There were so many things to keep track of, I was sure something essential would be missed. Would we be able to pull it off? I needn’t have worried. When I arrived at the Winter Gardens on Sunday, everything was ready for us – tables, chairs, power supply and a prime location opposite the Millennium Galleries. We had a lot to set up but just about managed to get everything ready before the official opening time. We had a beautiful tasting station with tomato varieties from different countries; the chance to view tomato diseases under the microscope; an activity building electric circuits using tomatoes and other fruits as batteries and children’s crafting with playdough, pipe cleaners and lots of googly eyes. 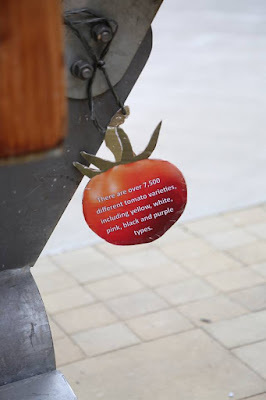 And if that wasn’t enough, I had also hidden interesting tomato facts all around the Winter Gardens for our quiz. Of course, we also had a galore of freebies – ‘Plant Doctor’ stickers, pens, badges and fluffy bugs. We were certainly prepared…but would anyone stop and look? In the end, it went even better than I could have hoped. I was amazed at how positive people were towards our tomatoes, especially when we had to compete with stalls selling luxury chocolate, hog roasts, pizza stalls and artisan fudge! We were constantly having to cut up more tomatoes for sampling (especially the Yorkshire variety – a biased audience perhaps?!) Even better, many people were actually motivated enough to search for all the clues in our tomato quiz so that they could win their very own tomato seedling to take home. But it was also a lesson in how the simplest of things can be the biggest hit. 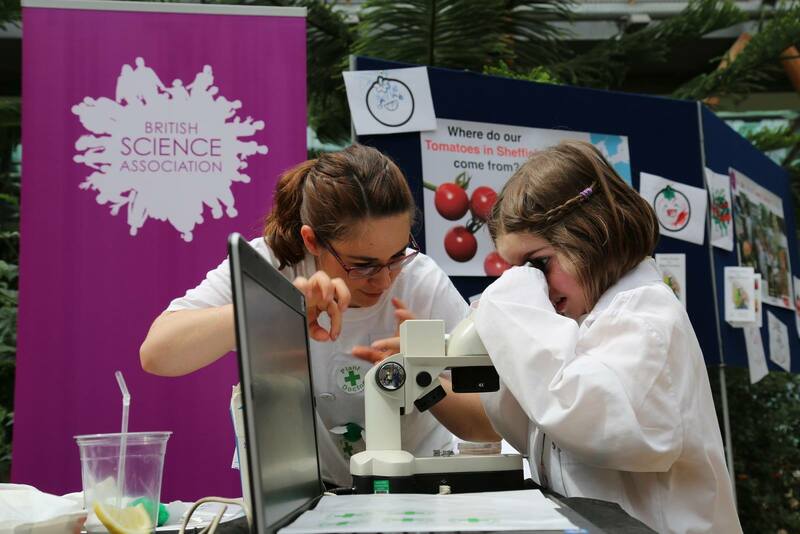 For instance, one of the most popular activities for the children was being able to wear a mini-lab coat and have their photo taken with a microscope. When you work in research, it can be easy to forget how novel these things are. As for the crafting activity…. I realise now that I was a bit naive to think that a kilogram of red play dough would be more than enough! 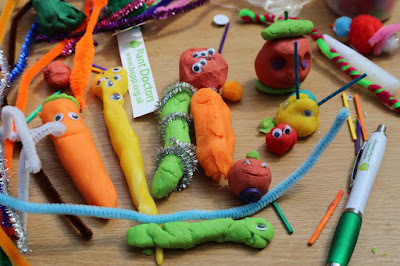 There were certainly some fantastic fruit and vegetable creations. It looked like we were running a crèche, it was so busy! Estrella in full-on Plant Doctor mode! Four non-stop hours later, when it was time to pack down, we were tired but elated. Practically every tomato had been eaten and nearly all the tomato seedlings been rehomed. We had managed to keep going despite the tropical temperatures and had kept our enthusiasm. And even though I could no longer say ‘tomato’ properly, I hadn’t ended up despising this quirky, scarlet fruit. We had made it – and are ready for more! So what’s next for the BSA in Sheffield? This week, we will be holding our first AGM to elect a committee and decide on our constitution, so that we will be a proper, formally recognised branch. After that…well we have so many ideas already: cinema nights, art-science collaborations, theatre productions…watch out for us world, here we come! And if there is a sudden surge of people becoming plant pathologists in a few years…you will know why! Thanks for reading, I hope you have a good week! Anyone know a good recipe for tomato salad? 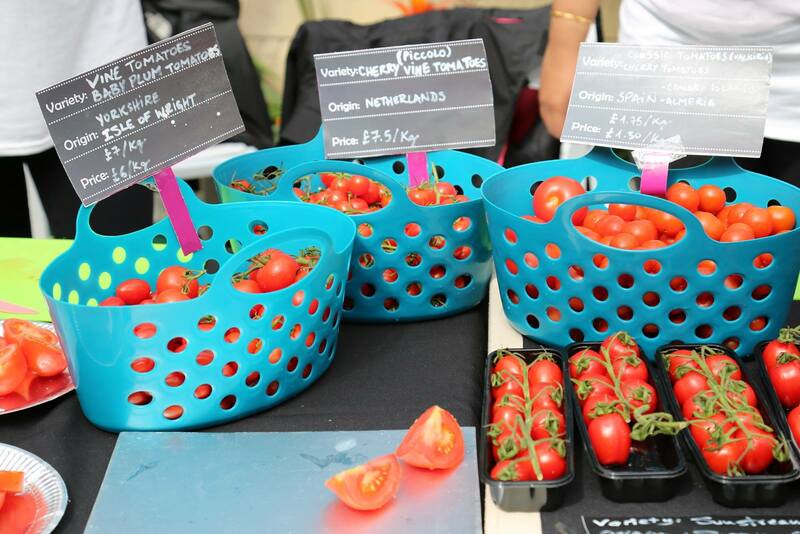 See our Facebook Page for more photos of"The Secret Life of Tomatoes".